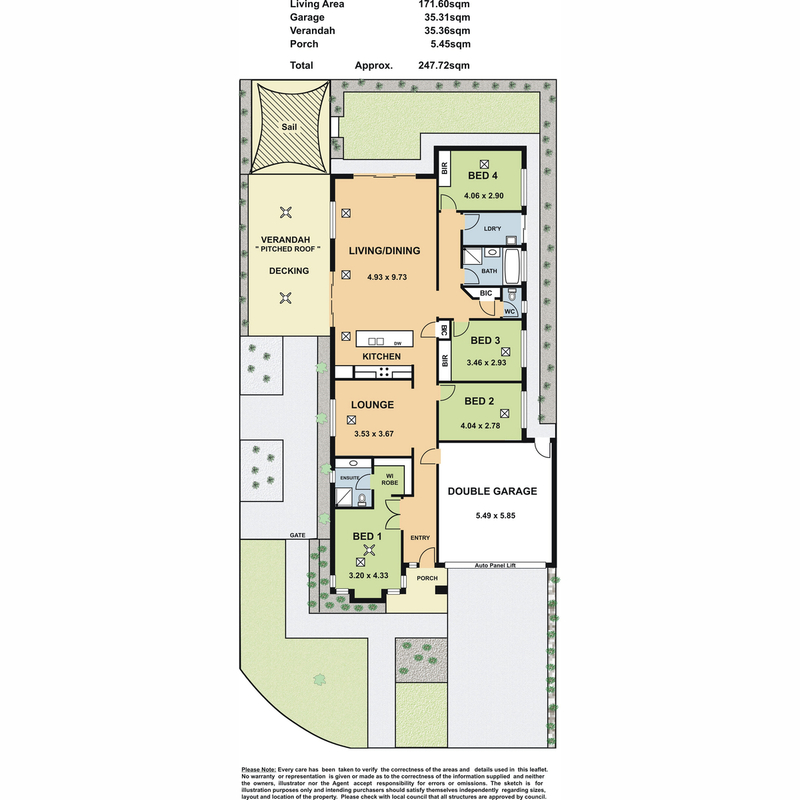 This close to new home is the perfect move in and enjoy family residence! 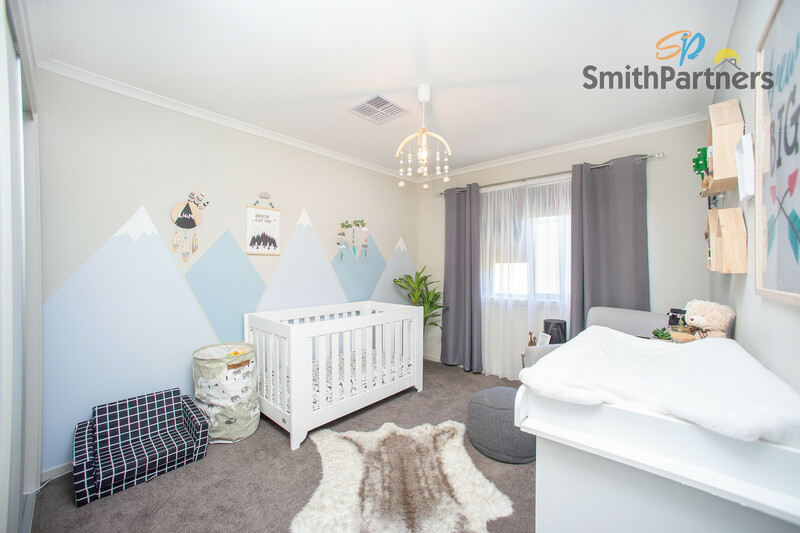 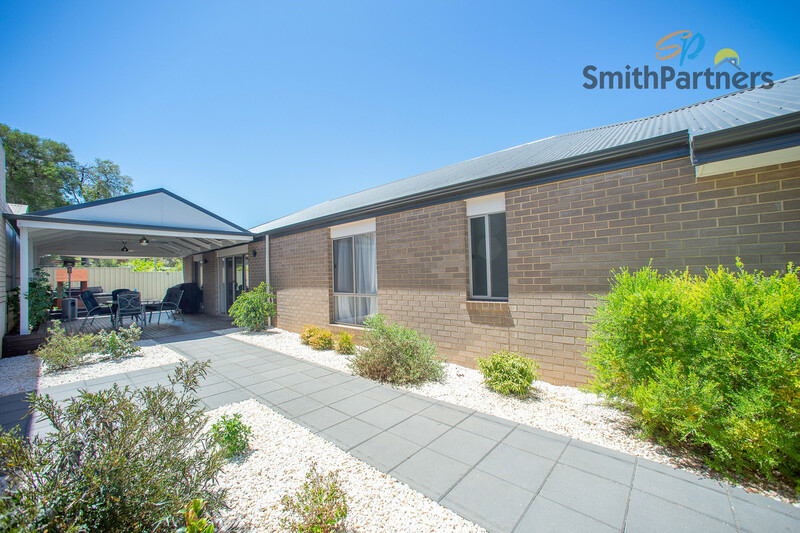 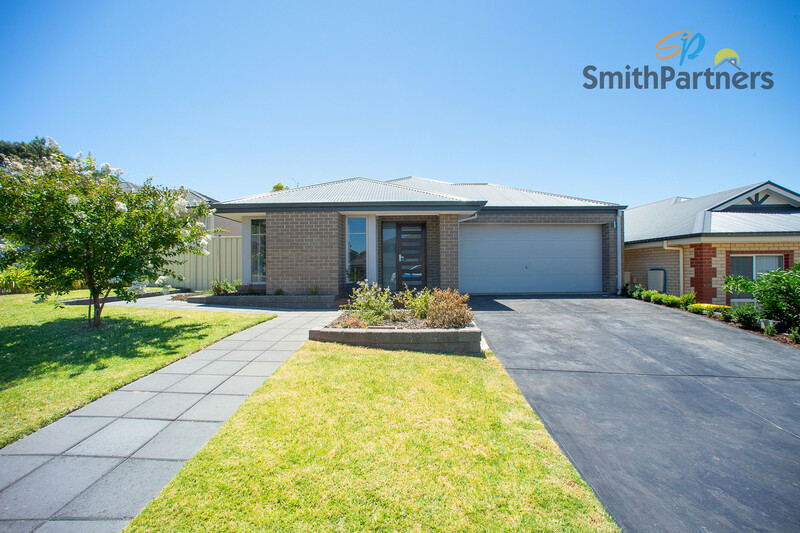 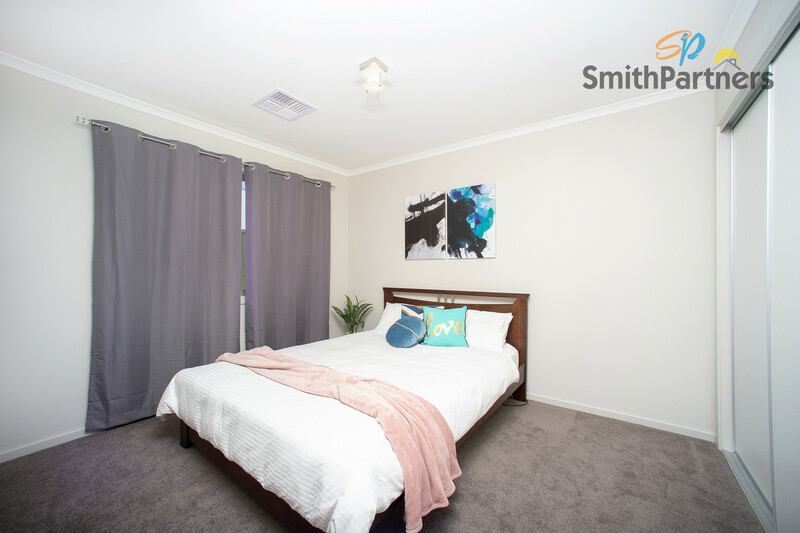 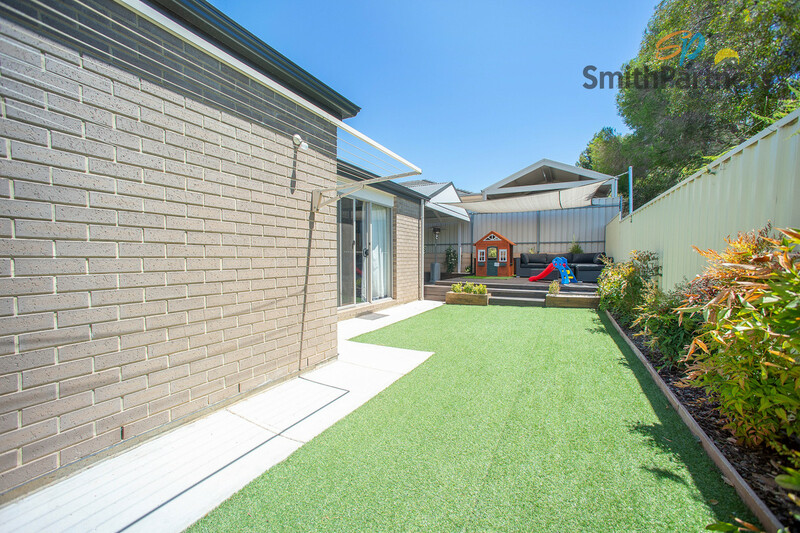 With four bedrooms, two bathrooms and a two-car garage with further carparking on the driveway this stunner will suit the large family for years to come. 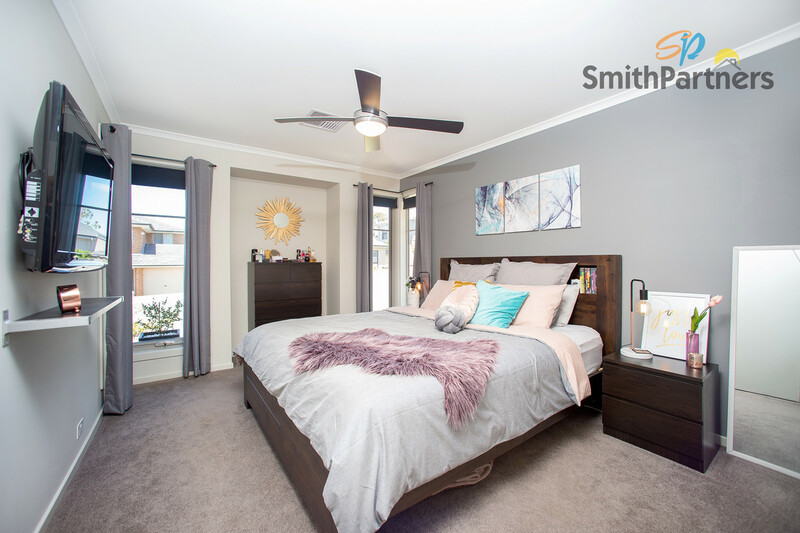 The master bedroom features a glamorous walk in robe and ensuite bathroom whilst bedrooms 2 & 3 have built in wardrobe storage. 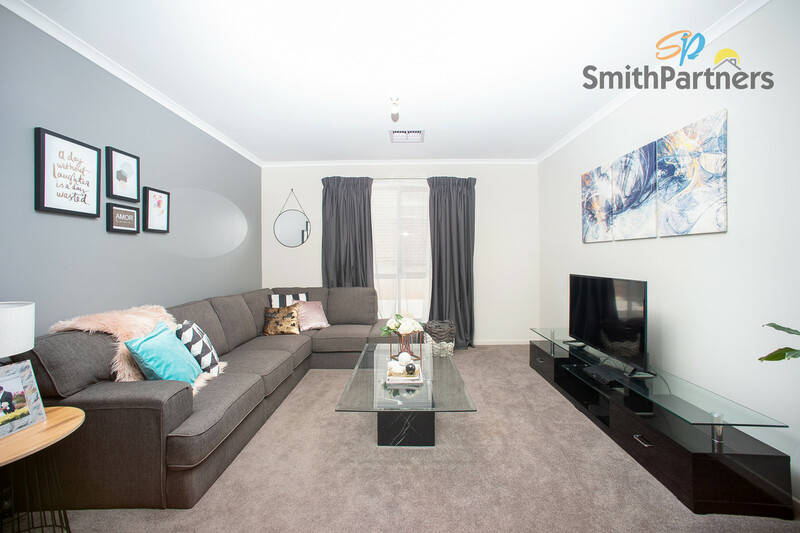 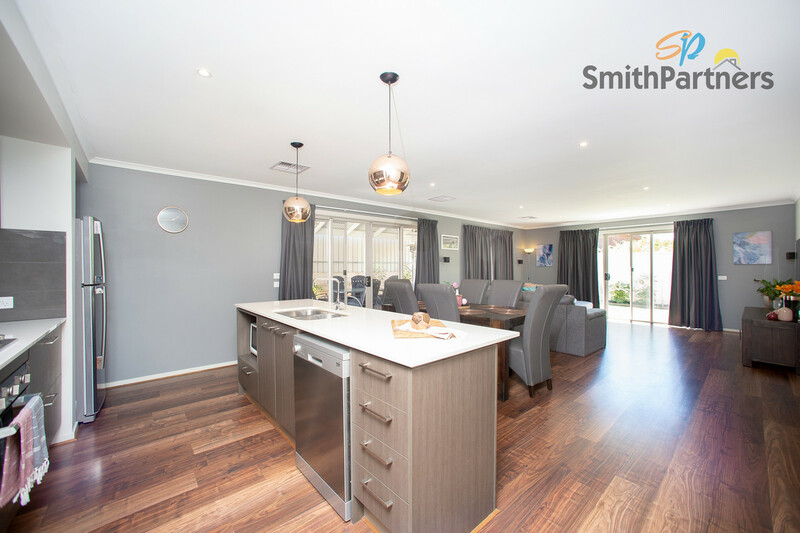 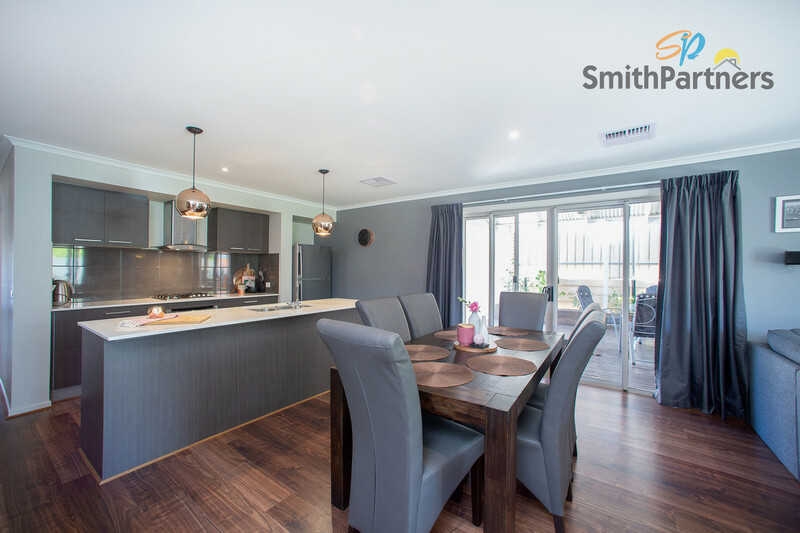 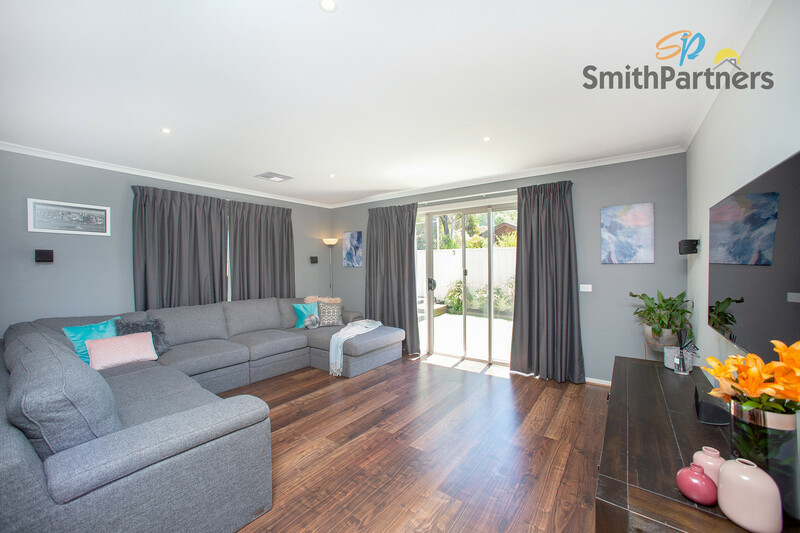 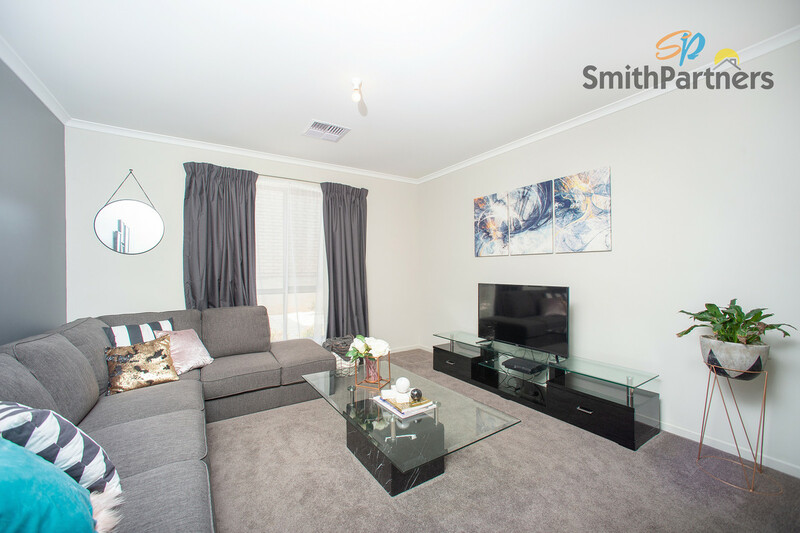 The open plan living, dining and kitchen areas are neat and modern with floating timber floorboards and floor length curtains for a luxurious feel, with the living room home to surround sound speakers for the ultimate experience. 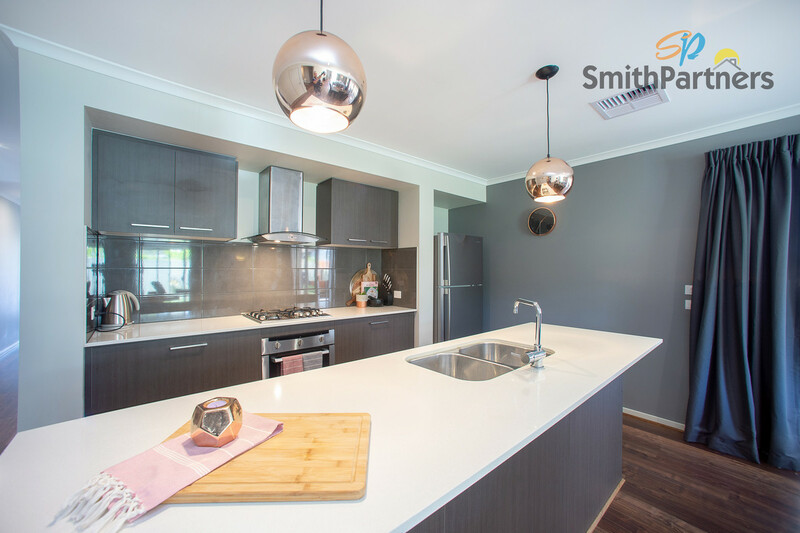 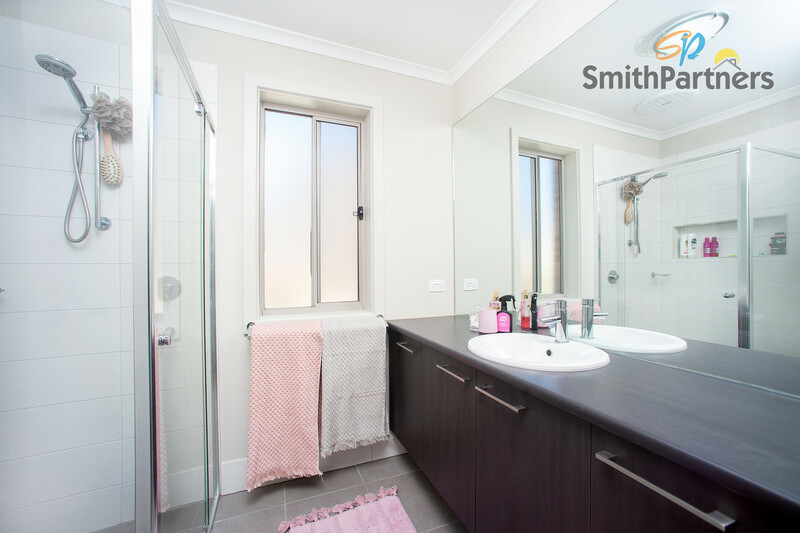 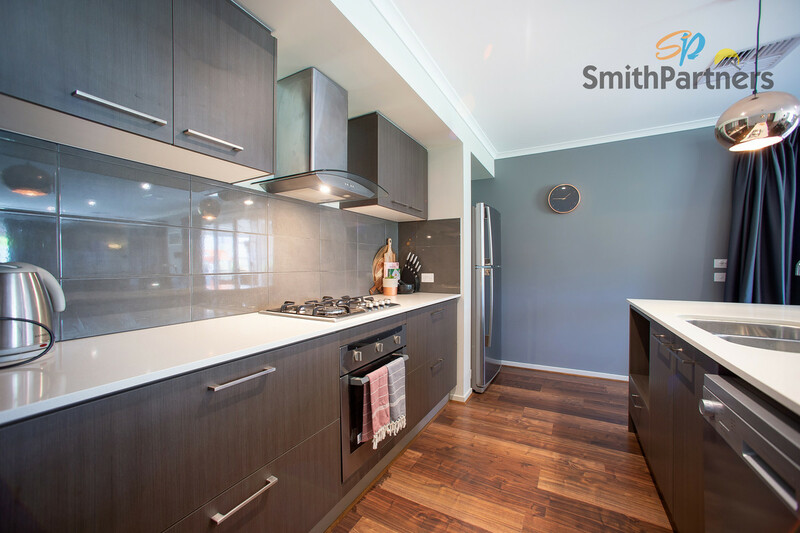 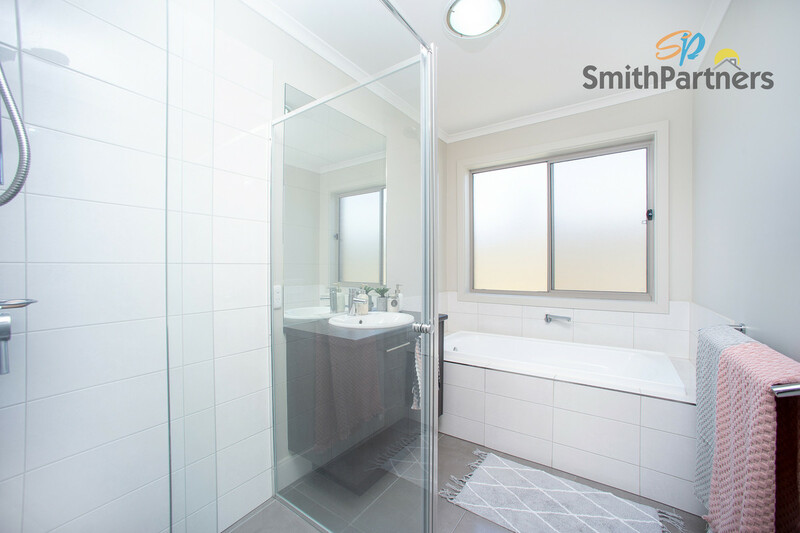 The natural painting and fixtures and fittings throughout are a great base for someone to add their own style to and really make this house a home and the modern kitchen with Caesar stone benchtops, stainless steel appliances and ample drawer and cupboard storage is perfect for entertaining. 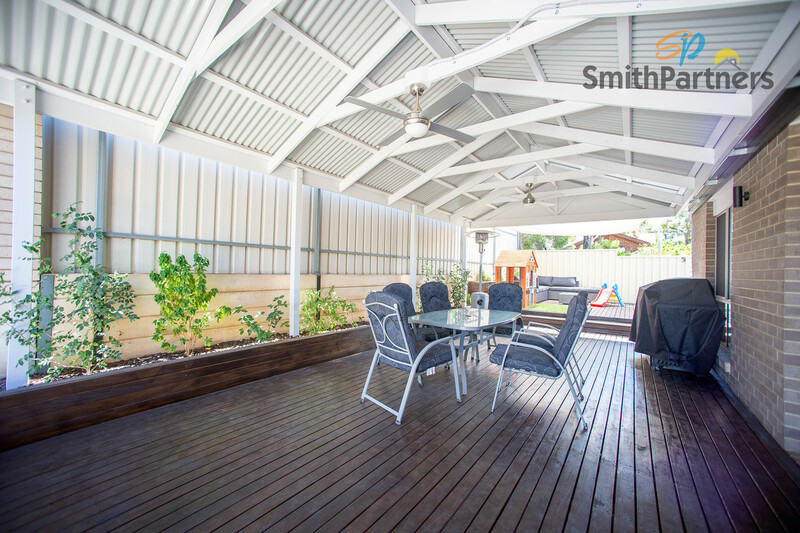 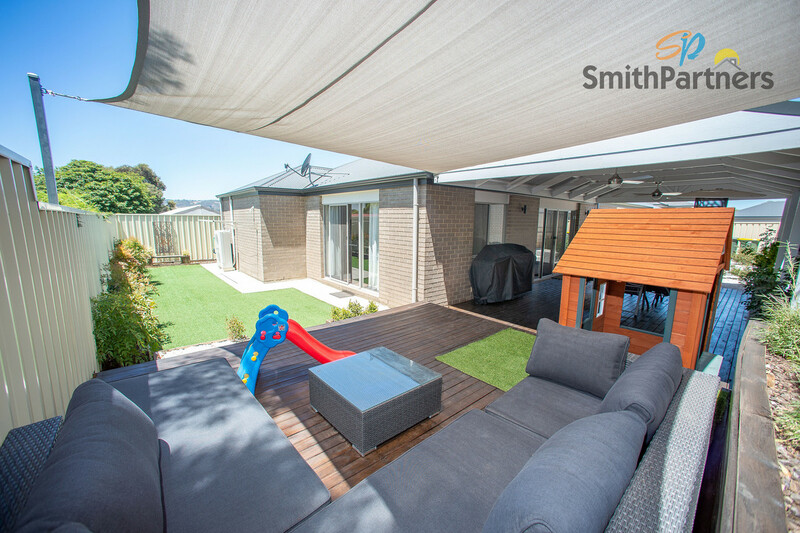 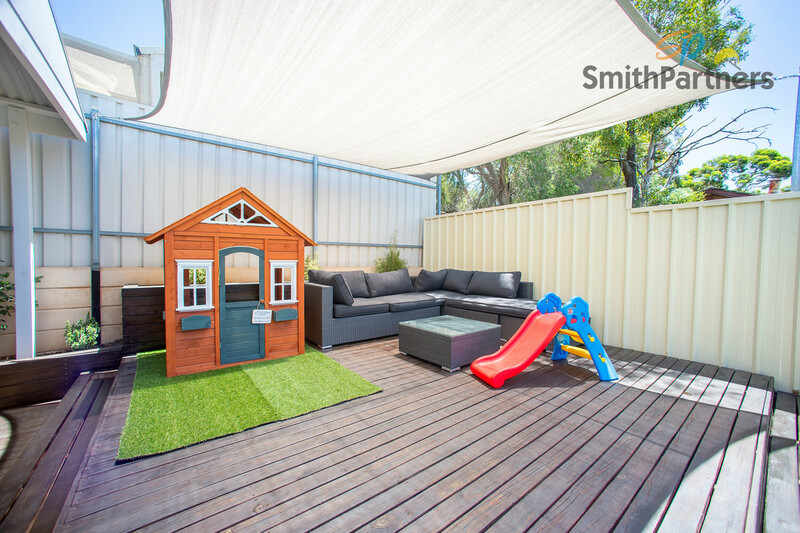 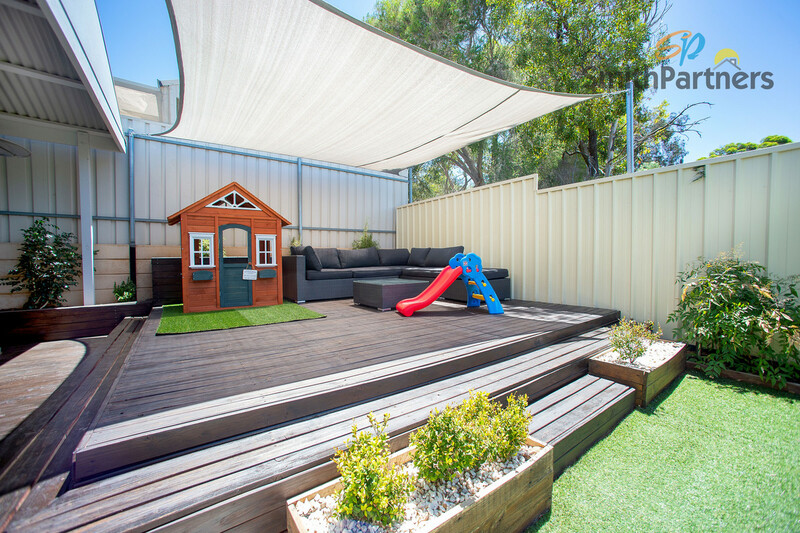 Continuing the theme of entertainer’s delight, the outdoor area sees a large decked, pitched roof verandah, shade sail area and an artificial lawn to the rear garden for the children to play on. 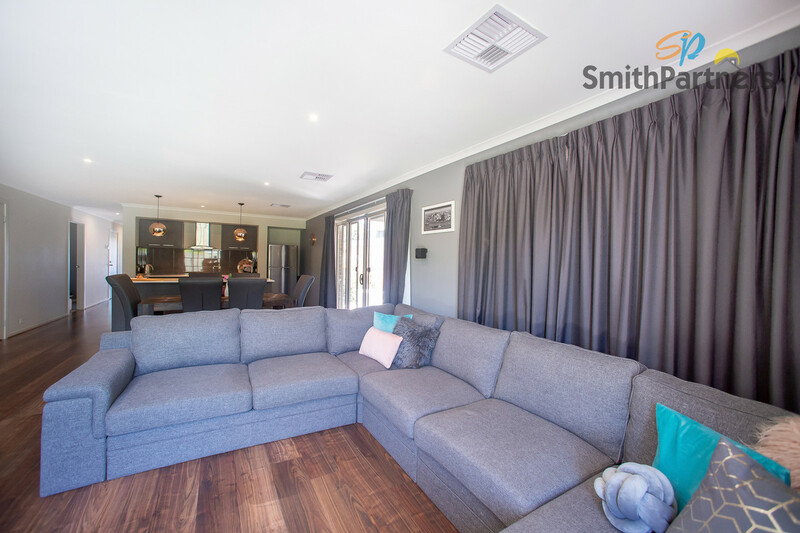 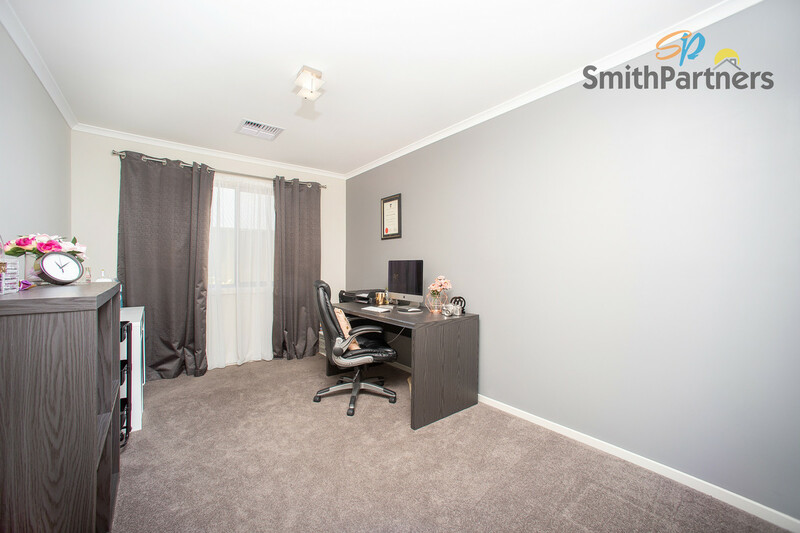 The house is fitted with a zone-controlled Fujitsu Reverse Cycle ducted air conditioner throughout for your comfort. 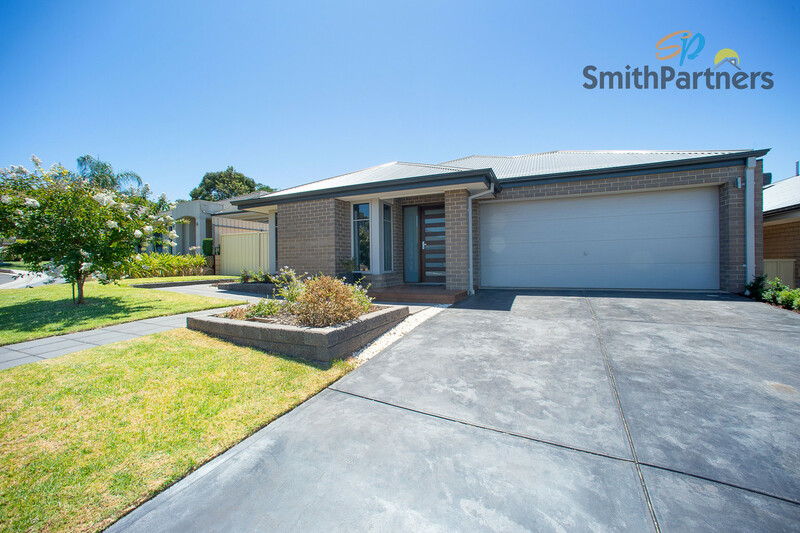 There is nothing to do here but move in and enjoy this stunning family home for many years to come.